Slide-Lok garage floor coatings feature excellent color and gloss retention and are available in a wide variety of colors. 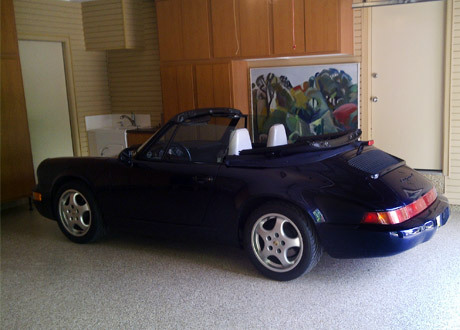 Garage floors from Slide-Lok also feature coating system technology that is UV resistant as well as impact and abraision resistant. Everything has its place. Slide-Lok offers customized garage cabinets to fit and compliment any size space. 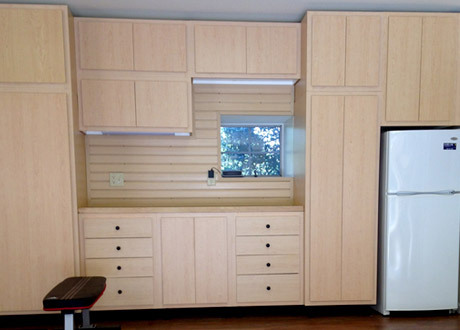 Made from durable plywood, not particle board, our cabinets feature dovetail construction and offer a host of options. 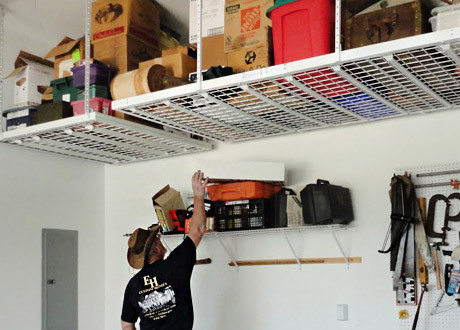 Slide-Lok's Slat-Wall and Overhead storage organizers allow you to utilize space you might not have known you had. A perfect addition to any garage, Slide-Lok can install a customized, durable storage solution to suit your needs. In as little as one day, our installers can transform the appeal of your garage! Ask us about our entire garage makeover process; Garage Cabinets, Garage Floor Coatings, Slat-Wall systems, overhead racks, and more! I was very pleased with the work done by Slide-Lok on my garage flooring, and both my front porch and rear screened in porch. They were prompt, professional, and reasonably priced. If there were any problems with the materials used, once they made repairs, they made sure I was completely satisfied with the final results. Both Daves, the father and the son were a pleasure to work with ... very accomodating. I have recommended their business to at least six neighbors and friends, many of whom, have had work done as well. ©2019 Slide-Lok of the Eastern Shore. All Rights Reserved.